- Publisher Jesus's words in John 17 represent one of the church's highest values quot;May they all be one as you and I Father are one.quot; Yet divisions occur from the highest levels of the church to street level projects often neutralizing effectiveness and undercutting the credibility of Jesus's message. This book helps any believer turn the ideal of John 17 into reality. It provides solid grounding in the principles of partnership abundant case histories and empowering quot;how toquot; suggestions for lay person and ministry leader alike. 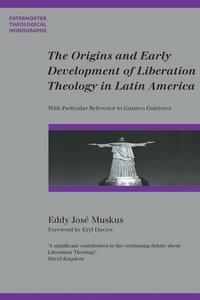 About "The Origins and Early Development of Liberation Theology in Latin America (Paternoster Biblical & Theological Monographs Series)"